You are currently browsing the tag archive for the ‘Jim Henson’ tag. Spike Jones has one very interesting resume and it’s about to get one more gem. It’s mostly made up of music videos for everyone from The Chemical Brothers (Elektrobank) to Bjork (It’s Oh So Quiet) to Daft Punk’s signature Da Funk video which featured that famous but so misunderstood dog with his ghetto blaster. Jones made use of the ghetto blaster again when he directed the video for Fatboy Slim’s smash Praise You as well. The resume doesn’t stop at music videos though. You can’t forget that Jones is also an Oscar nominated feature film director for 1999’s Being John Malkovitch, which was followed by 2002’s Adaptation. But, never before has Jones’ written and directed a full length feature film – that is, until now. 2009 will see a beloved children’s classic book blown up big screen style courtesy of Legendary Pictures and Warner Brothers. 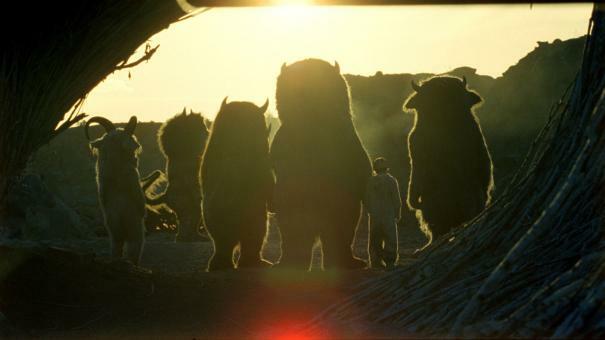 Jones and his co-writer for the project, Dave Eggers have diligently worked on adapting Where The Wild Things Are since 2005 and have kept in close contact with the book’s original writer Maurice Sendak throughout the entire process. In fact, Sendak reportedly asked Jones personally to take on the project which he’d kept backburnered since the early 90’s because he’d been unable to find anyone “fitting” to take it on. The ‘monsters’ created for the film range from 6 to 8 feet tall and were designed and created by The Jim Henson Company. The heads for the costumes were said to be so strenuous to wear that the actors inside could only work for 30 minute period with 10 – 15 minute air conditioning breaks in between. 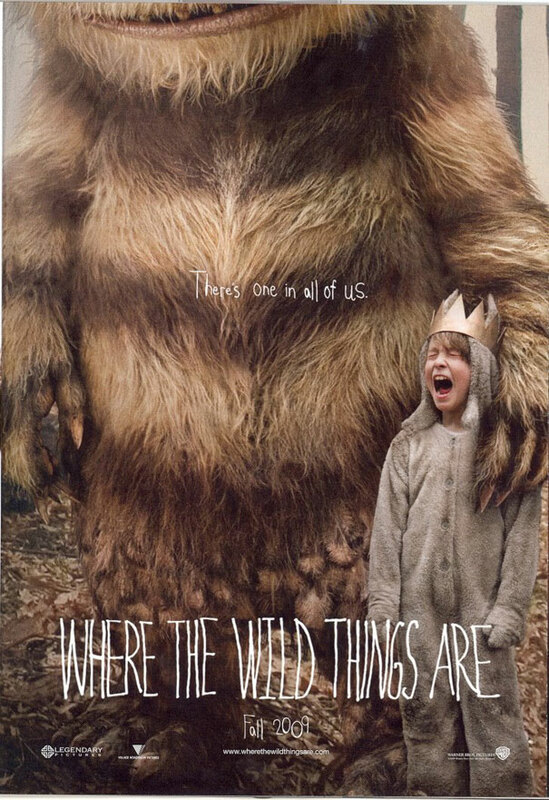 The cast includes Canadian Catherine O’Hara, Mark Ruffalo, Lauren Ambrows, James Gandolfini and Max Records as Max, the kid who is sent to bed without his supper and creates a world of his own to slip off into, where the wild things are. Currently the film is set to open October 16, 2009 after being set back from it’s original release date of May 2008, then October 2008. 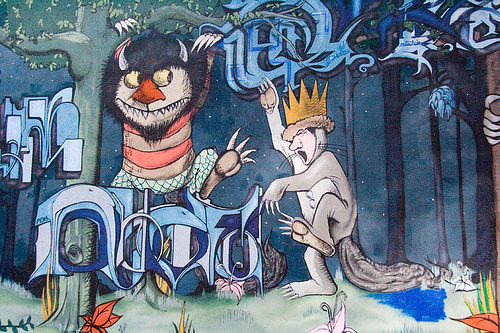 The website for the film is not yet live but the link http://www.wherethewildthingsare.com has been reserved!